Named after the original and legendary jump of the 007 movie “GoldenEye” with James Bond in her majesty’s service, this place has been the site of many more movies and stunt scene productions over the years, such as in the famous Bollywood movie “Doom3”, “Fire; Ice & Dynamite” from Bogner as well as TV-productions such as “the Amazing Race” or “Verstehen Sie Spass”. The GoldenEye stunt was awarded “best film stunt” at the time and has remained famous over the years. 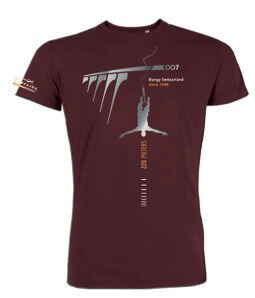 Slip into the skin of a 007-agent and (re)live the excitement of this classy jump. An feeling of freedom beyond compare! 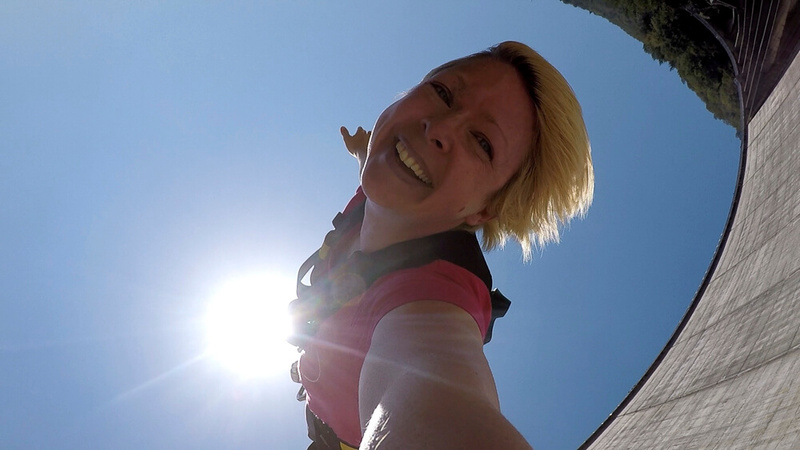 Jump backwards, a special adrenalin kick! 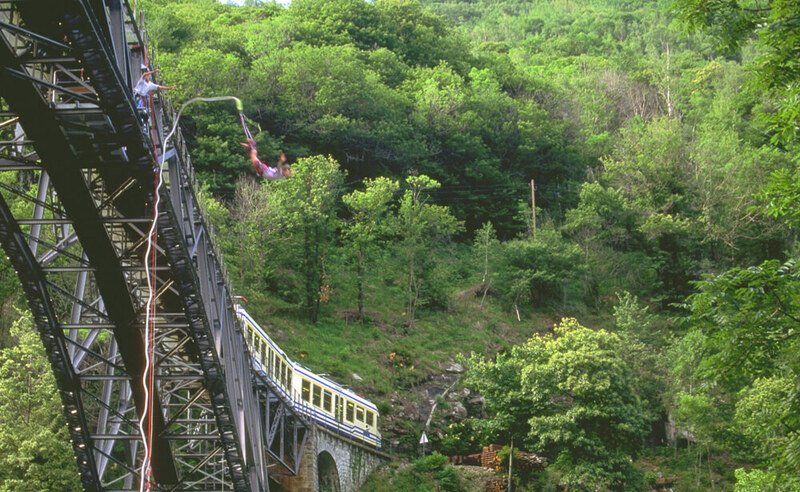 The origins of Bungy Jumping in Switzerland trace back to the “land diving” of Pentecost, Vanuatu in the Southern Pacific where men dive off trees with lianas tied around their ankles. As far back as the people of the island can remember and up to this day, each spring the people of Vanuatu celebrate the land diving festival. The land dives are perdominantly perfomed by young men. In week-long preparations a scaffold tower reaching heights of 15-30 m is built by using just bamboo. The construction served as a jump platform from which the brave yound mend dive off head first into the void. Beforehand the men choose those lianas that are most flexible and fix them around their ankles on top of the platform before the jump. With great care and attention the material is checked and optimized over and over again since the goal is to dive as close to the ground as possible – even touching the ground gently! It is a tradition, an initiation rite for the young men. Only after completion of this rite of passage are the young men welcomed into adulthood. 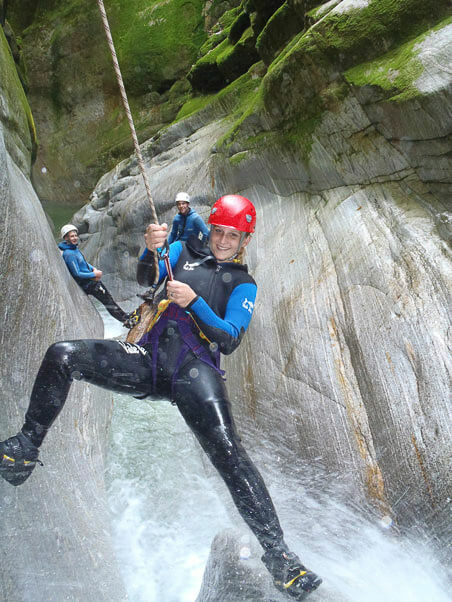 In the 80ies a rescourceful New Zealander took over their idea and undertook several tests using elastic ropes. 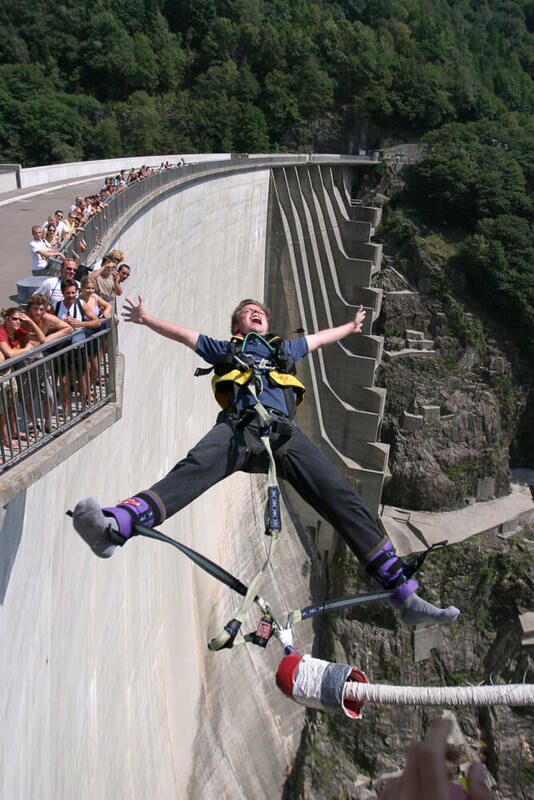 With the Kawarau bridge in Queenstown, New Zealand, the first official Bungy Jump of the world opened its gates. Towards the end of the 80ies the brothers Anton and Peter Draganits with their company Trekking Team Ldt. 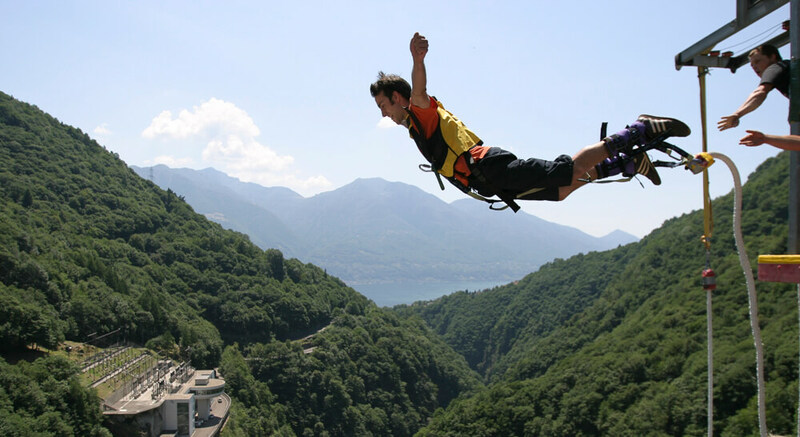 introduced Bungy Jumping to Switzerland.